Did you miss WHYY’s Delaware First coverage of Simple Gifts musical performances in libraries? Watch online! Watch First for Friday, July 26, 2013 on PBS. See more from First. Simple Gifts has been making beautiful music for years. This summer they brought that music to Delaware’s libraries both to entertain and teach kids of all ages about music from around the world. First Experience caught up with them at the Hockessin Library as they brought the simple gift of music to a very eager audience. 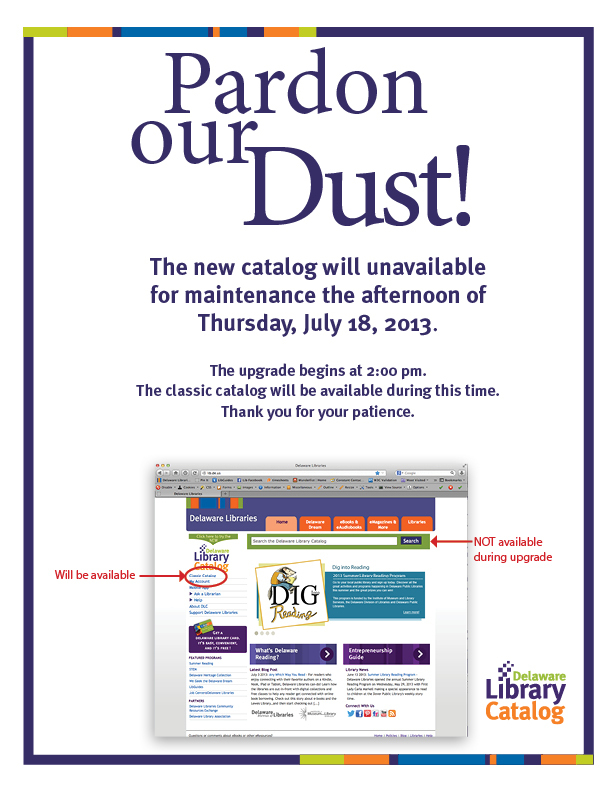 The new Delaware Library Catalog will be temporarily unavailable for a few hours on Thursday, July 18 beginning at 2pm. The classic catalog will still be available during that time. We appreciate your patience! My child is registered for the Summer Library Reading Program Dig Into Reading – Done! Prevent summer slide! Studies show that if kids don’t read over the summer, they can lose much of the learning they gained during the school year. Libraries and the Summer Library Reading Program can help kids fight this summer slide. My teen is registered for the Summer Library Reading Program Beneath the surface – Done! In addition to reading incentives, libraries offer great programs to teens over the summer to keep them engaged in STEAM (science, technology, engineering, arts, math) activities. However, Are YOU registered for the Summer Library Reading Program Groundbreaking Reads ? 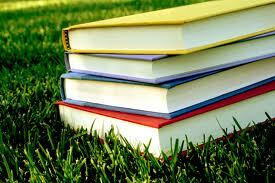 Many DE libraries offer an adult summer reading program with prizes, drawings, etc. at the end of the program. The Genres LibGuide has also been updated with new reading lists on every page for additional summer reading recommendations and a new genre, Thrillers, has been added.